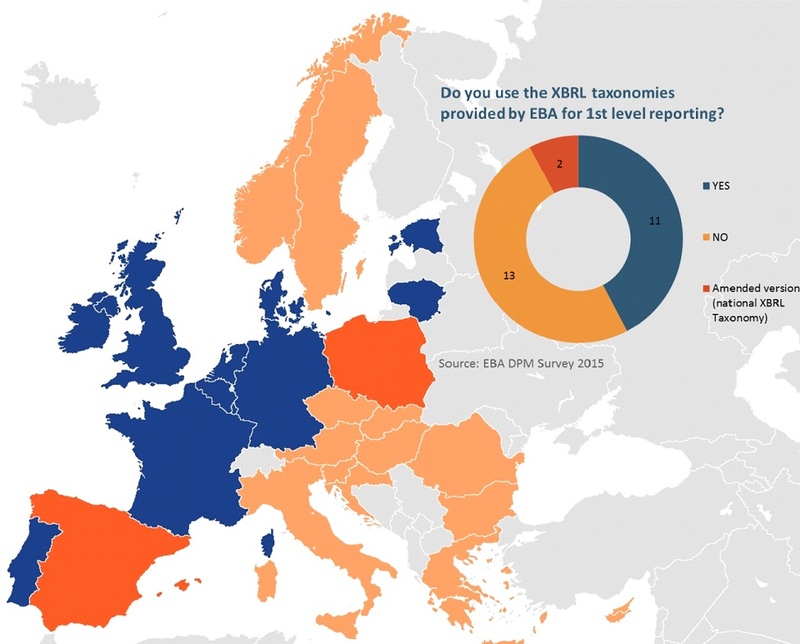 Draft map summarizing implementations of reporting formats in European countries. The sectors considered are (1) Banking and Insurance, (2) Securities & Markets, (3) Business Register and (4) Taxation. Listed companies may be involved, either for their consolidated accounts or the individual accounts of the group companies in Europe.